Here at American Family Fitness, we know how important your children are. We are proud to offer our KidZone, birthday packages, camps, and so much more to help you give them the happy and healthy lives they deserve. Your kids will never want to leave! At American Family Fitness in Mechanicsville, we are proud to offer the KidZone, a supervised onsite childcare area for children ages 6 weeks - 13 years. Kids can play, assemble crafts, and make new friends while you workout in our gym. 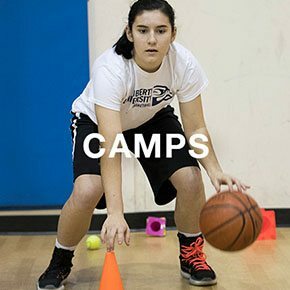 We also offer programs for older youth, from fitness classes and games to summer camps and leagues. Every age is welcome at our health club, and we have activities for every member of your family! Don't let your kids sit on the couch all summer! Register them for one of our amazing camps, like Kamp Kaboom for ages 5-13. Younger kids will enjoy Jr. Kamp Kaboom too. Stop at the Welcome Desk for more information. 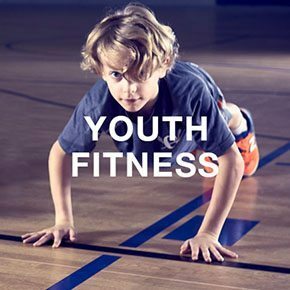 Introduce kids to a healthy lifestyle early on when you sign up for youth fitness programs at American Family Fitness in Mechanicsville. AFF families love our swimming lessons and swim club, youth sports leagues, camps, and more. Call the gym today to get involved. Searching for an original idea for your child’s next birthday? 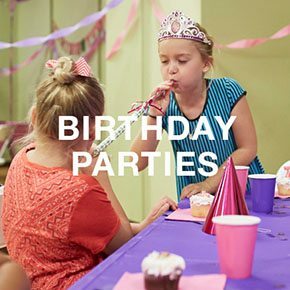 Our Mechanicsville gym offers two party packages, the Birthday Bash Standard and the Birthday Bash Deluxe, for ages 4-13 years. You provide the theme and we'll do the rest!